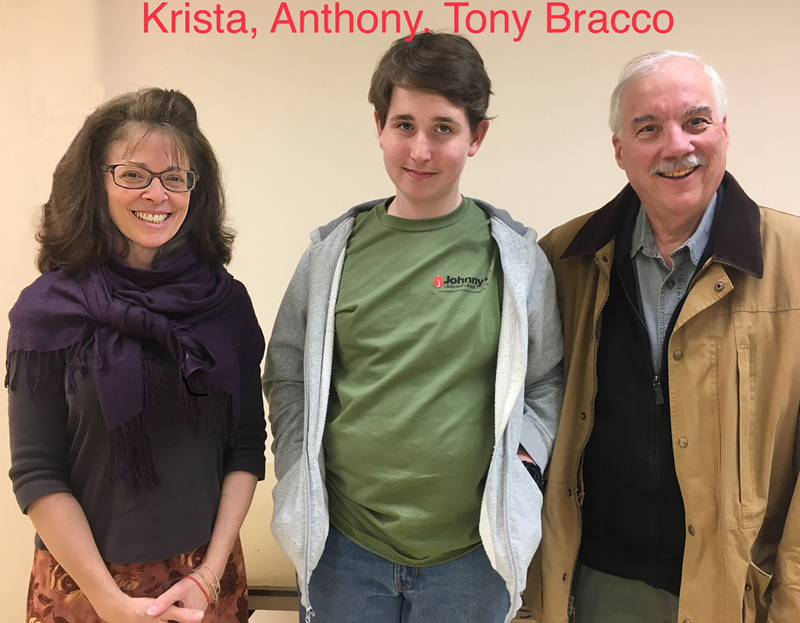 Bracco Farms came into being in 2009, born out of a passion for high-quality fresh vegetables and fruit. Located just north of the NJ border in the heart of Orange County, this “Black Dirt Region” is a remnant of the Ice Age in which thick deposits of nutrient-rich topsoil (from 30% to 90% organic matter) were left behind by retreating glaciers. Soil + climate = some of the best produce in the nation. The mission of this family farm is to provide the Public, restaurants and food markets with the best possible small-batch naturally-grown fresh produce. 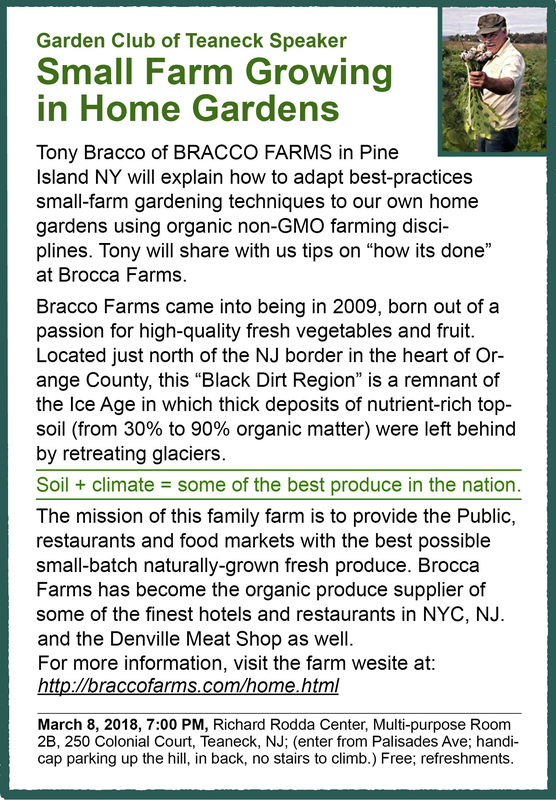 Brocca Farms has become the organic produce supplier of some of the finest hotels and restaurants in NYC, NJ. and the Denville Meat Shop as well. 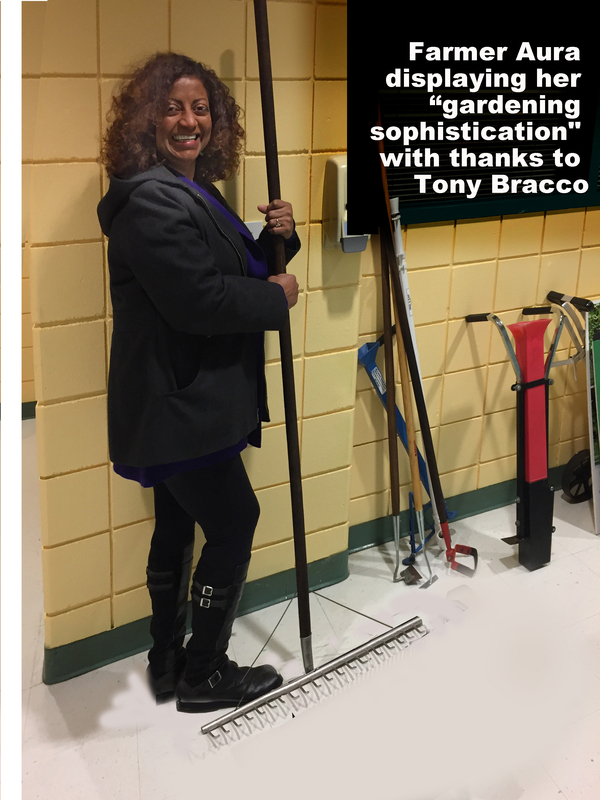 March 8, 2018, 7:00 PM, Richard Rodda Center, Multi-purpose Room 2B, 250 Colonial Court, Teaneck, NJ; (enter from Palisades Ave; handicap parking up the hill, in back, no stairs to climb.) Free; refreshments.